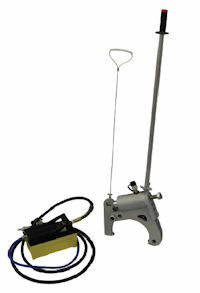 Hand-held cast iron pipe cracker. 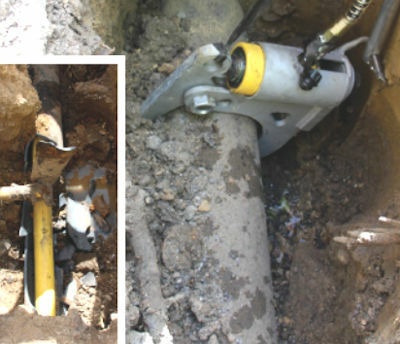 Break out 3", 4" and 6" cast iron pipe in a couple of minutes. Remove the hazards of swinging a sledgehammer. Controlled squeezing action operated from the surface keeps worker away from flying debris. Lightweight, tough and highly maneuverable. Does not require full circumferential access. 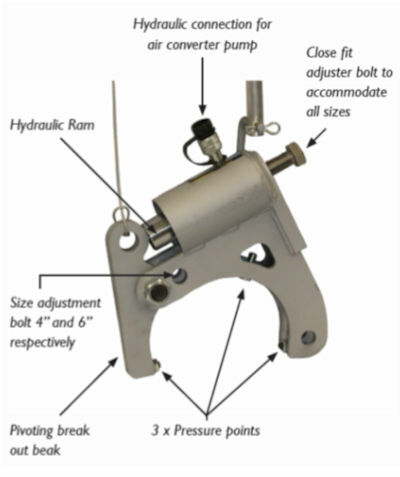 Foot operated pump connects to a standard on-site air compressor. Converts 100 psi of air into 10,000 psi of hydraulic power delivering 22 tons of break out force, leaving inserted PE pipe undamaged. 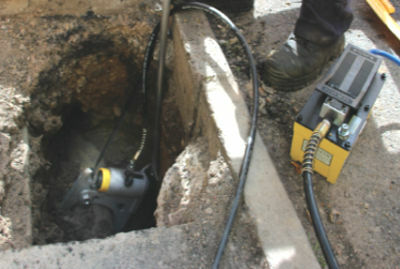 Cracking a section of 4" cast iron main.